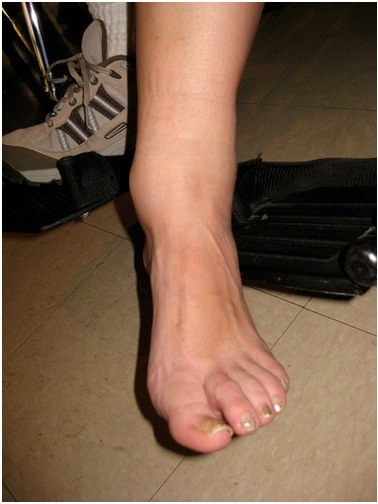 Tall walkers are used to immobilize the lower leg and foot when it has suffered an injury. These walkers are also known as tall CAM walkers and high top walking boots. They are recommended for sprains, fractures, and soft tissue injuries. Contrary to what the name might suggest, tall walkers are not exactly walkers for tall people. In fact, there are two kinds of CAM walkers available, depending on the injury site. In case of injuries to the forefoot, short CAM walkers or short walkers are recommended. These short walkers are used for low to medium grade ankle sprains. However, if you have a stable distal leg fracture or a rather severe ankle sprain, then the tall walker is definitely more suitable. The tall walker allows a greater degree of immobilization when compared to the short walker. 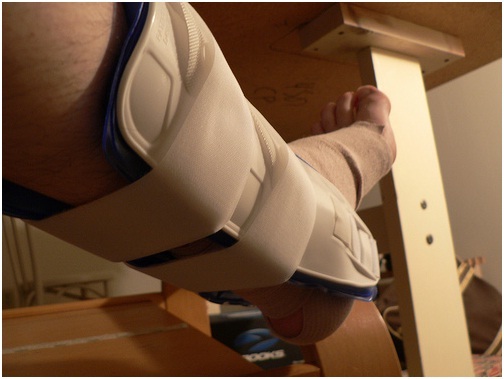 Tall CAM walkers are useful because they provide support, protection and immobilization post-injury or surgery. The tall CAM walker can also be used in different ways during different phases of your recovery. For example, during the initial stages of a fracture, it can be used as a cast to completely immobilize your limb until it has healed enough to bear some weight. Once the healing progress is well in place, the tall CAM walker can be adjusted so that controlled movements are possible and your limb can slowly start bearing weight. 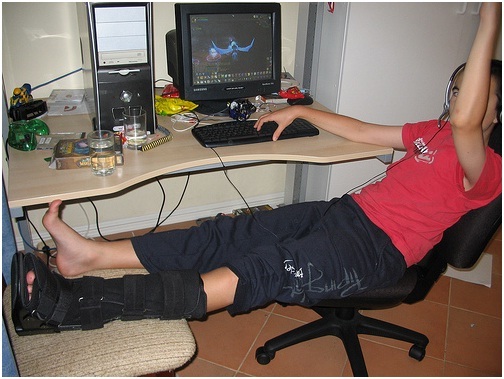 This adjustment as far as mobility and weight bearing ability of the limb is concerned helps in quick recovery. How Do Tall Walkers Work? Tall walkers are designed for easy use. The walker resembles a boot and opens all the way down in the front, so that you can easily slip it on without stressing the injured foot. The tall CAM walker normally has a plastic base that acts as the sole of the boot. There are foam paddings that can be wrapped around your feet or leg and are strapped into place with Velcro straps. Tall walkers also have aluminium supports on the sides and an adjustable joint mechanism that connects these supports to the base or the sole. The joint mechanism can be tweaked to provide the necessary degree of immobilization. The tall CAM walker can control both the dorsiflexion and the plantar flexion movement of your ankle. Under dorsiflexion, the toe is raised and the heel is lowered. Under plantar flexion, the toe is lowered and the heel is raised. The size of the tall CAM walker should be the same as your shoe size. Tall walkers that are big may result in tripping, while smaller models might be uncomfortable. Slide your feet slowly into the tall CAM walker so that your foot is placed securely on the plastic sole. Wrap the foam padding around your feet and secure it with the Velcro strap, ensuring that it is a snug fit. Ensure that the straps are not too tight, as this will affect circulation. Always wear an underwrap. This could be an ace bandage or just a plain athletic sock. Choose a white or lightly colored underwrap to prevent any staining due to perspiration. The tall CAM walker may cause some redness in the skin. Consult a doctor if the redness does not fade away, especially if you are diabetic. Keep the liners in the tall CAM walker clean. They can be removed and hand washed in cold water. Use a mild soap and let it air dry. The tall CAM walker can be removed while bathing or sleeping. However, follow your physician’s instructions. Once you learn how to use them properly, tall walkers can be extremely helpful in your healing process. A short walker is an orthopedic device that is used to treat ankle fractures, sprains, soft tissue injuries and Achilles tendon injuries. The short walker is also known as short cam walkers, low top walking boots and short leg walker. There are a whole lot of brands that are available in the market. Here is a quick look at some facts about the short walker. A pediatric walker is helpful in immobilizing your child’s feet in the event of sprains, soft tissue injuries and fractures on the lower leg. Although they are exactly like the adult CAM walkers, a pediatric walker has a few design adjustments that make it more comfortable for children to wear. Pediatric walkers are also useful for extremely short adults who may find it difficult to get their sizes in the adult CAM walker segment. Pediatric walkers are available in various sizes and are convenient to use for both adults and children. CAM Walker Pediatric: How does it Differ from Adult CAM Walkers? CAM walker boot liners play an important role in making the walkers comfortable and stable. CAM walker liners are usually made of foam in order to give added comfort to the boots. CAM walkers are used by patients who suffer injury to the lower foot or ankle. It is normally recommended in the case of ankle sprains, soft tissue injuries, ligament tear, tendonitis and fractures. 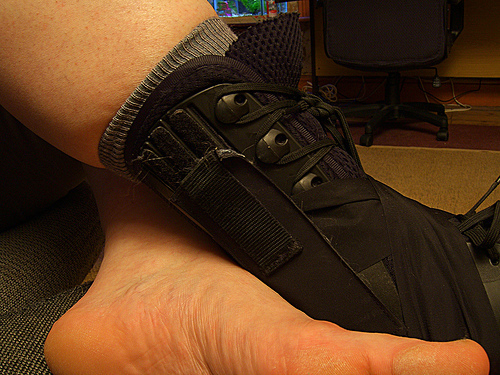 In short, the CAM walker is a good device to use when your feet need to be immobilized. They are also recommended as they help to control movement during the rehabilitation process. CAM walker boot liners helps patients who suffer injury to the lower foot or ankle. The basic design of the CAM walker can be divided into three parts – the sole or foot rest (which is normally made of plastic), the CAM walker boot liner and the Velcro strapping. There are aluminium struts on the side and a joint mechanism which helps to keep the ankle in place.